Dr. Ghering was born in Massachusetts and raised in Grand Rapids, Michigan. His family is originally from Cincinnati, Ohio. He earned an Associates Degree from Christendom College and a Bachelor of Science degree from George Mason University. Dr. Ghering attended Indiana University School of Dentistry, where he earned his D.D.S. degree in 2002. While at Indiana, he was honored with the Public Health Award and participated in a mission trip to Haiti. For seven years, Dr. Ghering worked as the chief dentist at the East Central Dental Clinic, part of Columbus Neighborhood Health Center, Inc., in Columbus, Ohio. During that time, he also served as an adjunct professor for the Ohio State College of Dentistry. 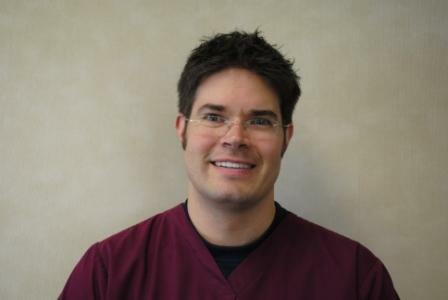 He began working at the Dental Depot in July 2009 and has enjoyed getting to know his patients. Dr. Ghering is active in the Greater Cincinnati Dental Study Club and is the current Membership Committee Chair for the Cincinnati Dental Society. Dr. Ghering’s wife, Abby, is a native of Cincinnati. The Gherings have three sons (Adam, Jack and Ben) and one daughter (Mia). In his spare time, Dr. Ghering enjoys spending time with his family, watching sporting events, and relaxing with friends.